Exclusive! SunRace Launches 11-50T Cassette! Although this is due to appear in Fresh Goods Friday tomorrow, we couldn’t help bringing you this sneak preview as well. Seemingly unannounced by SunRace, we just happened upon it while browsing Ison Distribution’s website (we all do it when bored, right?) and after a few calls to make sure we really were hearing things right, we not only confirmed its existence, but Ison popped one in the post for us to look at. What we have here is SunRace’s mahoosive 11-50T eleven speed cassette. SunRace says that it’s compatible with 11sp XTR, XT and SLX and will work with SRAM X1 too. We assume that you need a large amount of B-tension screw screwing, but there’s no other mention of any other special precautions. 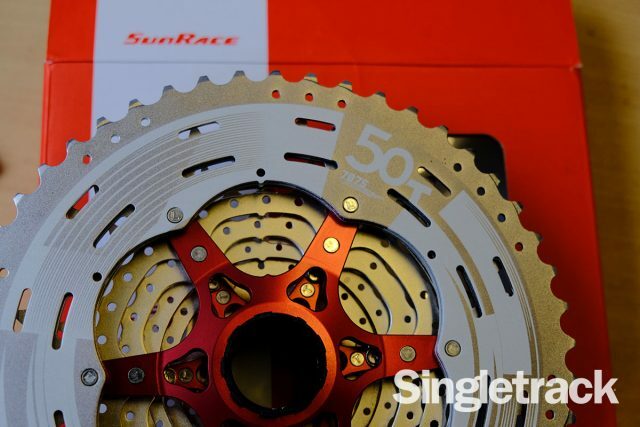 A 50T big sprocket is of course not new. SRAM launched Eagle last year, with its 500% 10-50T 12 speed range and OneUp countered with a 50T hop-up kit for 11 speed users, but no one that we know has offered a whole 11 speed cassette with a 50T bottom end. 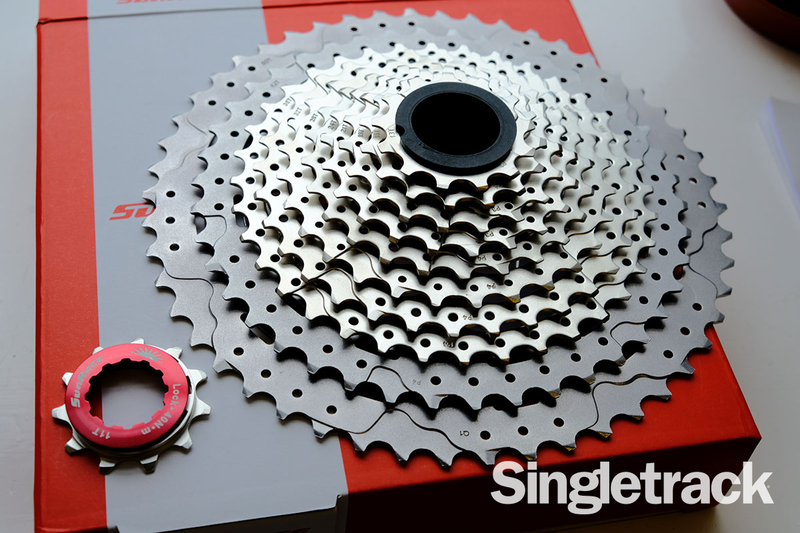 Although the sprocket is large, the price is relatively low, coming in at £99 in silver and £109 for the black cassette. Numbers fans might also be interested in the ratios, which are 11, 13, 15, 18, 21, 24, 28, 32, 36, 42 and 50T. Assuming it works well (and we’re going to find out), this could be a real game-changer. Here’s the link on distributor Ison’s website.They’re even in stock now. 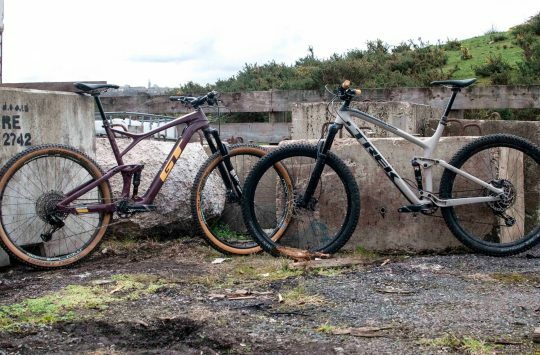 I can see that being very popular on fatbikes that get ridden in deep snow and bog. Is there a support group for those with an ID habit. I thought I was the only one. 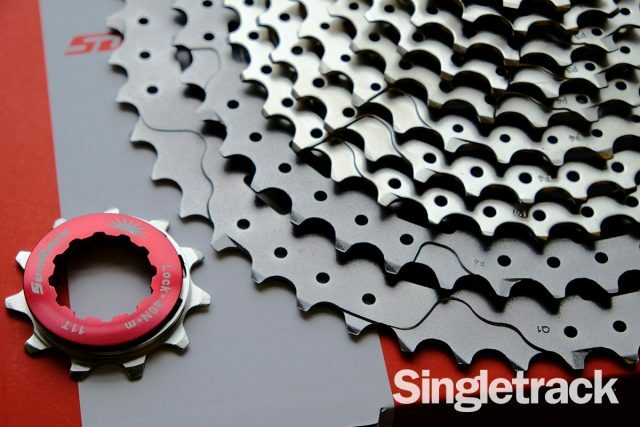 But if it was combined with a bigger front ring which I’m certain would be tempting) would a single chain be long enough or would you need something longer? I’m finding that with a 42 rear/32 front 1×11 setup there aren’t many spare links left once the chain’s been fitted. We shall be finding out soon. 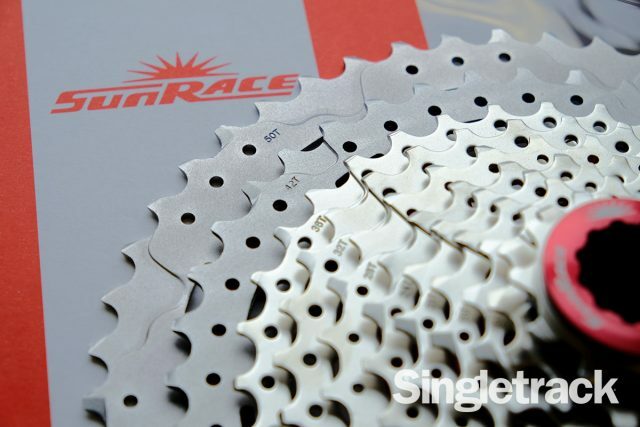 I’m very interested to see how SunRace’s claims of compatibility pan out. Is this why wheels got bigger? To accommodate ever larger cassettes? The Master Plan is all becoming clear now! Would be interested to know if it will work with nx… I need all the help I can get with snow and mud of my fatty.. Extremely interesting – specially if I get my wishes and go to the Finale later this year! Agree about the XT compatibility with medium cage – would love that but bet a log one will be required. Assuming it fits Shimano Freehub? 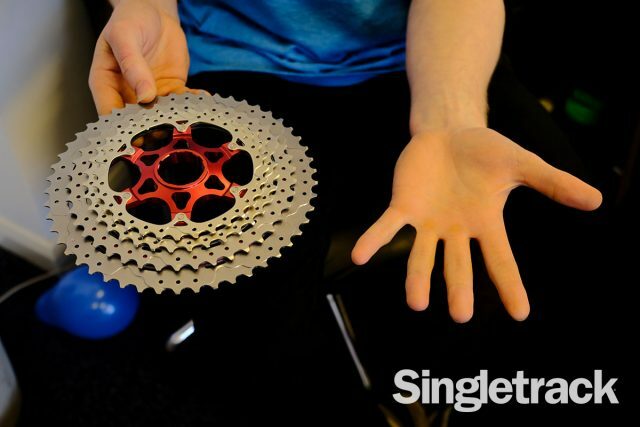 Yes @crashrash – it fits a regular Shimano free hub body. Without having fitted it yet, I’d hazard a guess only a long cage mech will work with that 11-50t range. But stay tuned for our install notes! 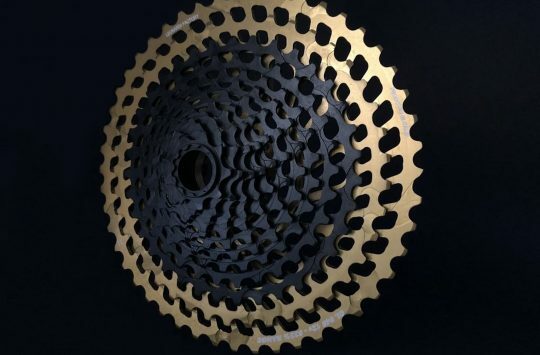 Will this fit a standard 8-10 speed cassette body, or do I need something funky on my hub? Will this work with a Sram SD driver and GX mech? Or do I need to change to complete Shimano drivetrain? 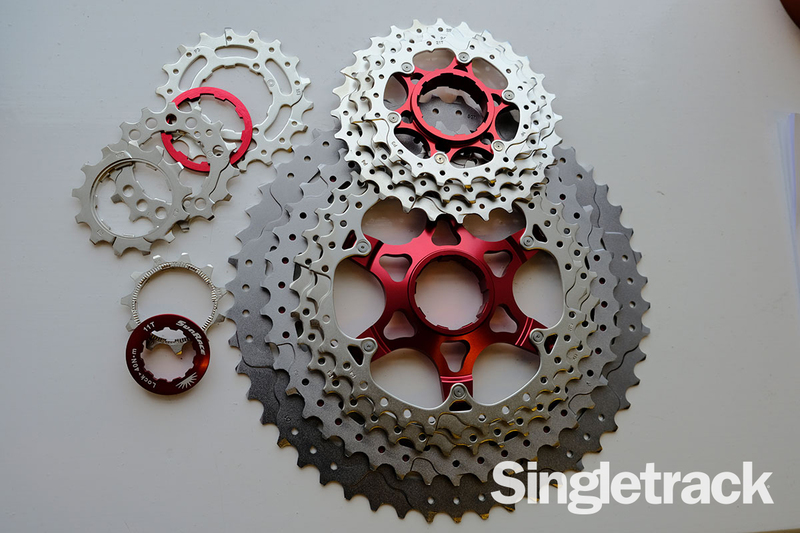 Wil – any further on how long a mech and how long a chain you need to run this cassette? 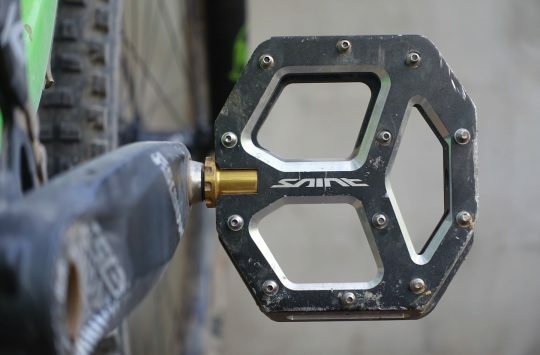 Its this or a set of Vtwin pedals……..
I’m about to fit one of these monsters to my bike whilst going to 1×11. Possibly mistakingly bought a GS (medium) mech and will report back later with details. 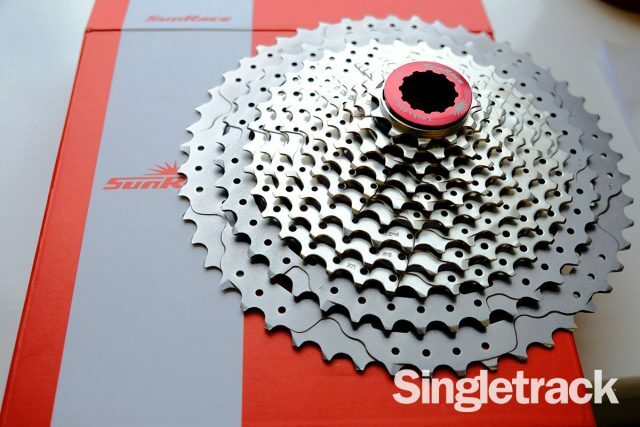 Kit going on will be XT 11 sp shifter, 11sp GS XT rear mech and this cassette. 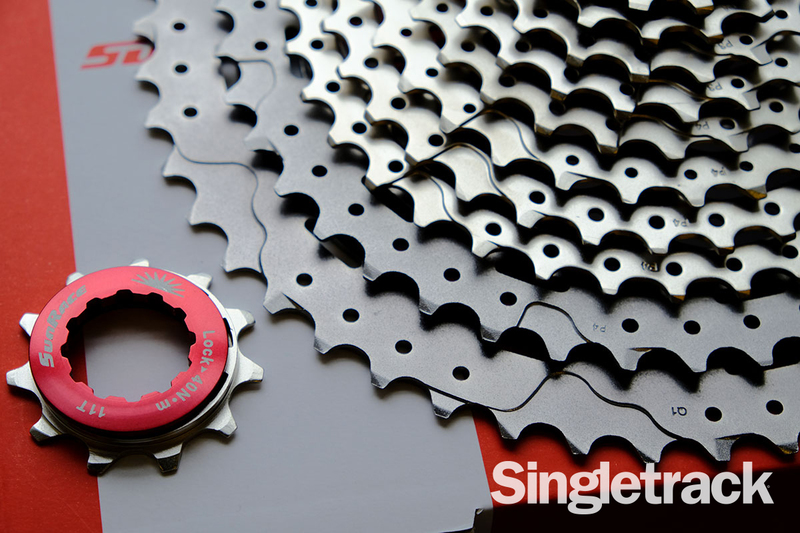 KMC 11sp chain. Front ring is currently a 30T oval abs black but will hopefully be going up to 32 or 34t. Now fitted and more for general info and to hopefully help a few others, I have just fitted the MX80 with an XT GS medium cage 11sp mech and it works well. I intended to order the long cage but made a mistake and didn’t realise until it was time to fit. Need to go for a full ride to be 100% sure but, with the standard B tension screw wound out one turn from max I get good shifting over all the range. Full length KMC X11-93 chain with 113 links used and over a 30t oval n/w ring I could probably take a link out. Ultimately the long cage may be a better bet but if you already have the medium and I’d suggest up to 32t chainring you’ll get away with a single chain. Wheel is a 26″ Hope evo 2 hub with standard 10s free hub and the bike is a Mojo SLR. Instead of hoping the B adjustment screw is long enough. Why not just buy a Wolftooth GoatLink 11? If using Shimano just take off the part which is removed on direct mount frames and fit this. @singletrackwil any news on this cassette and your experiences? The Vtwins won out earlier in the year (very good!) but now wondering about a special Christmas pressie! Fitted one of these to my Hightower back in July 2017. Worked really well with XT medium cage. Now I find the 2 big aluminium rings are knackered after only 400ish miles and several chains. 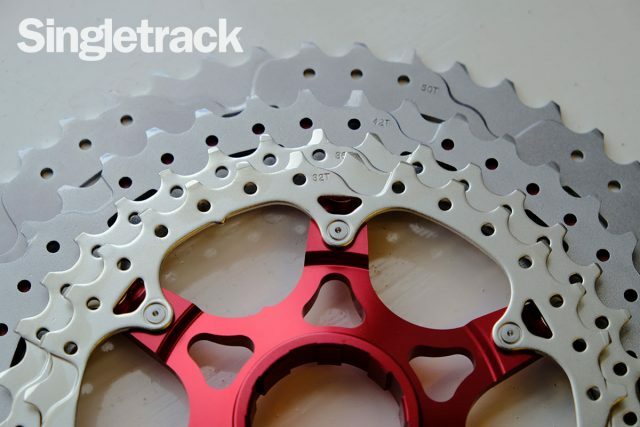 I am picky on replacing chains before they are too far gone (11 speed has opened up a whole new level of having to replace stuff more frequently!) so now a bit disappointed in this bit of kit!